Bookstock is this Saturday, October 1st, at the Benjamin L. Hooks Central Library — an invitation to all to meet and learn from local writers, including Memphian Mark Greaney. Greaney has co-authored a thriller with a certain very well-known writer. The name of that writer has been officially announced. So too the title of the book. It's called Locked On (Putnam), due in December. 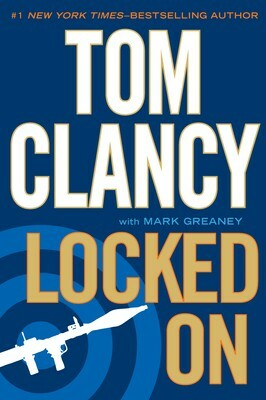 Greaney's very well-known co-author: Tom Clancy. "I've been reading Tom Clancy's novels since the mid-'80s," Greaney said this week. "I'm honored to be given the opportunity to collaborate with him." Mark Greaney will be reading from and signing Ballistic at Cover to Cover Cafe & Books (867-4028) in Arlington on Tuesday, October 4th, at 7 p.m. He'll be at the Booksellers at Laurelwood (683-9801) on Thursday, October 6th, at 6 p.m.
"As a member of the Rhodes College community, I pledge my full and steadfast support to the Honor System and agree neither to lie, cheat, nor steal, and to report any such violation that I may witness." That individual pledge by incoming students at Rhodes College is a school tradition. But on September 21st, at 7:30 p.m. in Hardie Auditorium inside Rhodes' Palmer Hall, the concept of honor takes on historical, global significance — a significance that applies to whole societies and across time and cultures to include the practice of dueling in England, foot-binding in China, the slave trade, and what's known, even today, as honor killing. 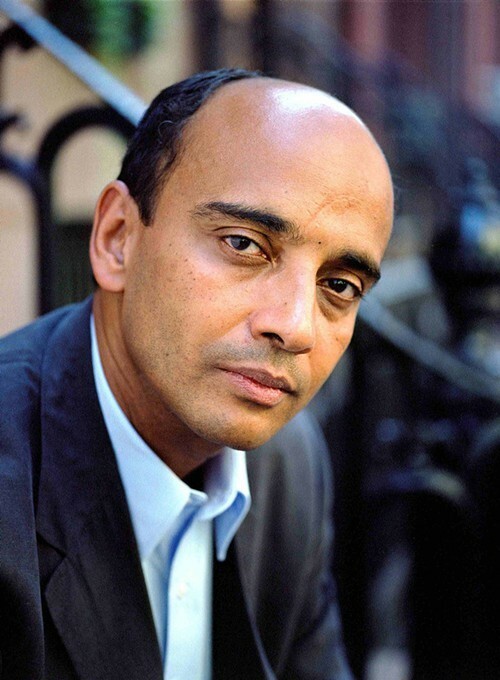 Those are the topics addressed in Princeton philosopher Kwame Anthony Appiah's thought-provoking The Honor Code: How Moral Revolutions Happen (in paperback this month from Norton), and it's Appiah who is speaking tonight at Rhodes. The event is free and open to the public. For an excellent introduction to Appiah's thoughts on what he calls the "honor world," listen to University of Memphis cultural historian Jonathan Judaken, who interviewed Appiah for NPR's WKNO affiliate. For questions on Appiah's lecture, write to Rhodes professor Scott Newstok at newstoks.edu. "This was the book that the literary world had been waiting for. It was an answer to questions we didn't even dare ask, questions we didn't know needed asking." — from "Publisher," a short story inside Memphian Corey Mesler's new collection of short stories, Notes Toward the Story & Other Stories (Aqueous Books). 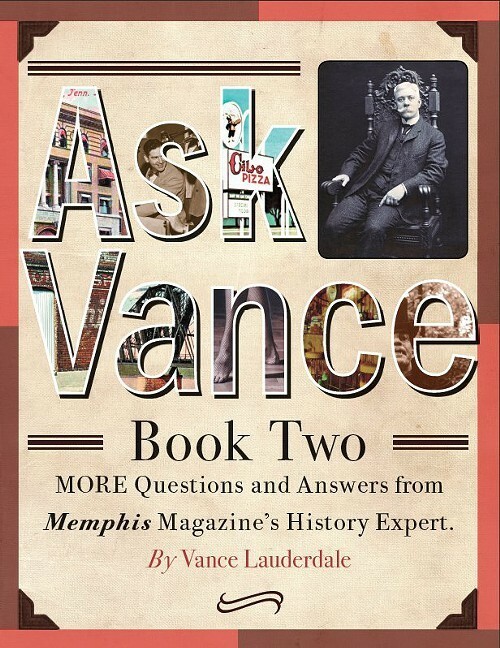 That'll be the setup when Vance Lauderdale, author of the brand-new Ask Vance Book Two: More Questions and Answers from Memphis Magazine's History Expert, signs his latest collection at The Booksellers at Laurelwood on Tuesday, September 13th, at 6 p.m. Customers can purchase the book ahead of time, receive a voucher, and take a line number to use the night of the booksigning event. Call the store at 683-9801 if you have any questions. On October 1st, Lauderdale will also be on hand (along with dozens of other local authors) at Bookstock, a Memphis area author fair. The event takes place at the Benjamin L. Hooks Central Library on Poplar and will serve as a showcase for discussions, signings, and workshops for aspiring writers. If you're interested in being part of the audience for the library's Book Talk program, Bookstock's also offering limited seating for the 1 p.m. taping of the broadcast that day, which will feature show producer Stephen Usery interviewing Memphian Mark Greaney, whose latest thriller in Greaney's Gray Man series, Ballistic, hits stores in late September. For more information on Bookstock or to register for a workshop, go here or call 415-2709. Looking to buy new books (plus audiobooks and DVDs) and looking to contribute to a good cause while you're at it? The annual Literacy Mid-South book sale at 902 S. Cooper will take place during this month's Cooper-Young Festival on Saturday, September 17th, from 9 a.m. to 5 p.m. The fund-raising sale is sponsored by The Commercial Appeal. If you want to get an early start the day of the sale, go by Literacy Mid-South from 8 to 9 a.m. The "Book Lover's Preview Hour" costs $10, but you'll have first dibs on an estimated 5,000 titles (plus free coffee and donuts). All proceeds from the preview directly benefit Literacy Mid-South, the organization that's been improving the reading skills of low-literate adults in the Mid-South and providing services for entire families since the nonprofit was founded in 1974. And if you'd like to volunteer to work the book sale, email Ashley Padgett at apadgett@literacymidsouth.org or call 901-327-6000 ext. 1013. Volunteers are needed on Friday, September 16th, and for shifts during the sale on Saturday. The minimum age for volunteers is 18. To learn more about Literacy Mid-South, go to literacymidsouth.org.